The tax free savings account (TFSA) has been available to Canadians for a while now. One of the benefits of being a year older is that you now have more contribution room available to invest in your TFSA. If you turn 18 this year, your contribution limit is $10,000. If you turned 18 prior to this year, your TFSA contribution room will be $5,000 per year starting from the year you turned 18 or 2009, whichever is later up to to 2012. 2013 and 2014 have $5,500 contribution limits and 2015 is $10,000. 2016, 2017, 2018 the limit was $5,500 and the limit is going up to $6,000 for 2019. In other words – here are the annual contribution limits per year – keep in mind you have to be 18 to accrue any TFSA contribution room. My wife and I have made full use of our TFSA room because we have a $20,000 emergency fund which fits our TFSA accounts like a glove. There are many different potential uses for TFSA accounts, but keeping an emergency fund is a good one, since all interest earned in the account is tax free. We keep the emergency fund TFSA at ING Direct – see how to get a $25 bonus here from ING. Use the ING referral code 33089336S1 and get a $25 bonus in your account! The basic rules and limits haven’t changed since last year. Make sure you understand how the withdrawal rules work (withdrawal amounts get added to your contribution room starting on Jan 1 of the NEXT year). Contribution room for 2013 and 2014 is $5,500 for the year.. Contribution room for 2015 is $10,000. Contribution room for 2016 is $5,500. Unused contribution room carries over indefinitely. Any contributions made to the TFSA will result in a similar reduction to your available contribution room. Any withdrawals from your TFSA will result in a similar addition to your available contribution room, but only effective January 1st of the following year. See my “December strategy” for details on this. All income earned in the TFSA is not taxable. All withdrawals are not taxable. There is no “contribution receipt” issued for TFSA accounts. Any money contributed to a TFSA has already been taxed (at your personal income level) and doesn’t get taxed again. You can have multiple TFSA accounts at different financial institutions. However it is up to YOU to keep track of your contributions. The government knows if you go over the limit and will charge an over-contribution fee. Don’t expect any kind of friendly phone call if you go over your limit – the government will just start charging the fee and it will be payable on your next tax return. It’s a common perception that only bank accounts and GICs are allowed in TFSAs. This is not true – whatever investments are allowed in an RRSP account are also allowed in TFSAs. Stocks, bonds, mutual funds, index funds, ETFs (Exchange Traded Funds), GICs, high interest savings account are all eligible for TFSAs. Discount brokerage – This is the place to buy stocks, ETFs, bonds, mutual funds, index funds. See my Canadian online discount brokerage comparison for a complete look at options and fees. Questrade brokerage is my personal favourite. Banks – This is the most convenient option for high interest savings accounts and GICs. Financial advisor – If you have an advisor of some sort, they should be able to set up an account for you. There’s one question I’m not really clear on. I opened my first TFSA this year (2011). or am I allowed to contribute $15000? 5000 (2009), 5000 (2010), 5000 (2011) = $15,000? Yes, as of 2011 you are allowed to contribute a max of $15,000…then back to $5,000 for 2012. I think it may be $5,500 in 2012 as the TFSA is adjusted for inflation every few years, but check with the CRA in any case. I am a person living with disabilities, and on income assistance of permanent disabilities. I want to understand what exactly is the TFSA. My income tax statement mentions there is: 15,000.00 in my unused TFSA account… may I use this money to further my education and help me obtain a good vehicle so as I may get to and from college without the headache of standing at buss stops…which are truly discomforting for me. And if I can utilize this money… what penalties etc will I face should I need half or all of it to accomplish what I’ve mentioned above. If it’s possible for me to use this money, how do I go about applying for a specific amount? @Vivian – It sounds like the number you are reading is the amount of contribution room available in your TFSA. If you haven’t contributed anything to a TFSA, then you can’t withdraw any money. @Andre – If that was your first ever TFSA contribution, then yes. My Question is, can I move the current TFSA from ING to my new Institution, without it being seen as a withdrawal ,and therefor subjected to Tax penalties?? In 2010 I transferred a full amount of TFSA ($10,000) from one financial institution to another by a certified cheque. It was not a surprise and both banks knew about my intentions. The second bank simply asked me to bring the cheque, the first one closed my account and gave me the draft. No one from them did not say that that operation was wrong and actually I over contributed my TFSA in double. Later, I realized that and had a meeting with the second branch manager which employee did incorrect action and asking to fix a current situation. Will I expect to get any penalties from a CRA and if so, to avoid them explaining it were wrongdoing transactions cause of bank financial “specialists”. Thank you. @Sergio – That is definitely an over-contribution and the CRA will levy penalties. I would try to get the banks to correct the situation. They can cancel the withdrawal/contribution and process a transfer. Can the $1K be transferred without penalty? If both ING and the new institution report it as a transfer, with appropriate paperwork – all is well. No worries about over-contributions or changes to your 2010 TFSA room that is left after the $5K contribution as it is a transfer. However, as Sergio and others have posted, there seems to be lots of problems with this. The “transfer” has commonly been reported as a withdrawal and contribution against the 2010 room. When this happens, the key question is whether there is enough 2010 room to absorb the $1K “contribution”. If so, there is no penalty and the $1K withdrawal is added to the future 2011 contribution room. If not, then the over-contribution penalties apply. So I’d determine what 2010 Tfsa contribution room you have left or stick to option #2 which avoids over-contributions. Options 1 – Stay on top of both institutions and make *sure* the correct paperwork is completed/reported. If a mistake is made and there is $1K or over 2010 room left, note for this year, $1K less and next year, $1K more. If a mistake is made and you don’t have the room, get it fixed asap. Being busy and lazy, what I personally would do option #2 – which avoids the penalty regardless of the 2010 room left. Option #2 – Wait for Dec 20th or so this year, withdraw the $1K from ING. On Jan 2nd or later of 2011, deposit the $1K to the new institution. The $1K contribution will be the year after the withdrawal, so for a withdrawal period of fourteen days, the “next year” rule will be followed. FYI – 2010 Tfsa Total Contribution Room = Unused previous room + 2010 $5K + 2009 withdrawals – (total 2010 contributions). For the FYI part, I probably should have been a bit clearer. Perhaps a clearer way is to break this into two parts. So when I mentioned that where due to mistake, a withdrawal/re-contribution happens “if there is $1K or over 2010 room left” – the Available 2010 Tfsa Contribution Room is the important part. Stocks – Can I buy stocks from a US-based exchange as a qualified investment in my TFSA? Does this include REIT’s. Please help me with my situation. In Dec 2010 I withdrawn 15260$ (+260 of interest) from my TFSA ING account. Is my available 2011 Contribution room 15000$ or 15260$? I opened a TFSA account with TD in 2009. Throughout 2009, 2010 and 2011, I deposited and withdrew money from this account. Now I want to open a new TFSA account with a online brokerage so I can buy and sell stocks. if I withdrew all the money from my current TFSA account, what would be my contribution limit for the new account? I”m married and my husband is not working and going to school full time. Can I provide him with money that I have earned to put into his tax free savings account since we have maxed out my own contribution limits. I would prefer to not put the excess in RRSPs because the TFSA is so much more flexible in terms of withdrawal in the case of an emergency. Ok, I opened a TFSA in 2010, contributed $4000 to it…this year(2011) I had a spare $9600 and put it into my account. I have been a little fearful that I may have over-contributed, but from reading some of these questions above, I am thinking that I am fine because I did not open an account in 2009 when the TFSA came available…am I correct in now thinking that this is not an overcontribution? I know that the contribution limit per yr is 5000 for tfsa. However, I was wondering, is the limit $5000 per tfsa account (if you have multiple accounts) you have or $5000 combined? Thanks. @ Gary – Re: Are TFSA contributions of $4K in 2010 and $9600 in 2011 an over-contribution? It sounds like you are okay but you’ll have to sort out a couple of things. If you were 18 so that the 2009 TFSA room is available, you are fine. It may help to look at the year by year impact, assuming no other transactions. Opened TFSA and contributed $4K so that at end of 2010, unused is $6K. Contributed $9600 so that 2011 unused is currently $1400. So unless there are other contributions, age looks like the only way you could be over the limit. @CC: Is the TFSA limit account based? The TFSA limit is across all TFSA accounts for each person. Whether you have one account or five accounts, the total contributed has to stay under your personal TFSA limit. @ Manny: Re: If I open a new TFSA brokerage account, what will the TFSA contribution limit be? The TFSA limit is per person – not by account. So when you open the TFSA brokerage account – if your current TFSA contribution limit is $3K – then you can contribute $3K into all of your TFSA accounts. It is up to you to decide how to split it between accounts. You mention you’ve made contributions/withdrawals over the years so if you haven’t been tracking this, I’d suggest using the formula I outlined to Gary to figure this out. It is important to track this yourself to avoid over-contributions. This gives the starting point for the year. Now subtract any contributions for that year. The end of year total becomes the next year’s “unused”. Note that if you have money in the TD account, you can request it be transferred to the brokerage account, similar to transferring assets between RRSP accounts. There have been problems in the past where the transfer was recorded to the gov’t as a withdrawal, which put people over their contribution limit so be careful. Hopefully, this is happening less often. I have not yet contributed to a TFSA, so I should have 20,000 of room. Can I withdraw stocks and bonds from a personal brokerage account and contribute those to a TFSA without having to cash them in? I could use closing value of the stock or bond on the day of the transfer as the basis for the amount contributed. I assume I would then have to declare a capital gain or loss on my 2012 year taxes on the stocks and bonds based on the valuation of the assets on the day of the transfer. But after that no further tax. There could be an advantage. Thanks for any info you have on this. If so I might be better to transfer bonds or stocks that don’t have a capital gain on them. Can I roll a retirement gratituity into a TFSA? Can I withdraw stocks and bonds from a personal brokerage account and contribute those to a TFSA without having to cash them in? Yes. This is called a transfer-in-kind. I assume I would then have to declare a capital gain or loss on my 2012 year taxes on the stocks and bonds based on the valuation of the assets on the day of the transfer. You have to declare any gains, but you aren’t allowed to claims losses in this case. For any losses, you are better off selling them outside the TFSA in order to claim the loss. But after that no further tax. @ Nancey: Re – I could use closing value of the stock or bond on the day of the transfer as the basis for the amount contributed. When I asked how the non-registered stock transfer to TFSA worked before my first transfer, I was told that during the phone call to request the transfer, I’d have to choose a price from the range that the stock had already traded that day. So the couple of times I’ve done the transfer, I’ve checked late morning or early afternoon so that there would be a reasonable price range to choose from. If the range was to my liking (i.e. includes a small profit), I then called the brokerage to request the transfer. Otherwise, I’d check again or wait for another day. As of Dec 31st 2011 I have made the maximum contribution of $15,000 into my TFSA. As of Jan 1st 2012 this amount has dropped to $11,000 due to losses. I’m allowed another $5,000 contribution for 2012, am I allowed to contribute the $4,000 loss plus the new $5,000 for a total contribution of $9,000 without incurring an over contribution penalty. I have been looking at getting into short-term investment trading as a means to make a bit of extra money on top of my regular income. (I think my strategy is sound, but I am still researching screeners and will do some mock trading to be certain.) A TFSA account seems excellent for the purpose in starting out since, with few exceptions, the income (specifically, as I understand it, the capital gain earnings from selling stock) is not taxed, and I am not likely to hit even the yearly contribution limit soon. That is, I am not likely to hit the limit provided I understand the rules correctly. Is the contribution limit only affected by deposits and withdrawals into the account? Are capital gains and interest counted against the contribution limit? Or worse, (though I don’t believe it could be the case) is the entire sale counted against the contribution limit? I presume the money considered to be “in the account”, regardless of whether that money is liquid capital or held in stocks/bonds/etc. I don’t see any time stamps anywhere, so I’m not sure how old this thread is or when the last update/comment was, but hopefully it is recent enough. My thanks in advance for your time. You can’t contribute to a TFSA to makeup for a loss (like an RRSP). Only unused contribution room, the yearly $5K amount and withdrawals will change the contribution room. If I understand correctly, you have maxed out the $15K of room and did not withdraw anything in previous years. This means the only contribution room available is the 2012 $5K yearly amount. My first comment can be read a couple of ways. When I mentioned “like the RRSP”, I meant that in both cases, a loss does not give one more contribution room. As well, the part that reads “change the contribution room” is more accurately “increase the contribution room”. A contribution will decrease the available room. The TFSA is tax free. Once the money is in the TFSA, it does not matter if it is interest, dividends or capital gains – there is no tax to pay. It also does not matter what investment it is currently in. Short term trading in the TFSA *may* be good as it is tax free. The risk is if your strategy doesn’t work and you have losses. In a taxable account, the losses can be used to reduce other capital gains. In a TFSA, the loss can’t be used for anything and kills your contribution room. So it’s a great idea to test the strategy first! You want to be sure of a high degree of success. The TFSA contribution room is only affected by the yearly amount (2012 is $5K) for each year one is over 18, unused room, contributions and withdrawals. Let’s say I’m over 18 and in Jan 2009 I invested the total $5000.00 contribution limit in TFSA. I then decided to gamble and invest in some Futures and became extremely lucky. My investment amount increased by $95,000, leaving a total of $100,000 in my TFSA by Oct 2009. In that same month I decided to withdraw the full amount of $100,000 from my TFSA account. My question is this, in 2010, what would be my contribution limit? Would it be $105,000 (2009 contibution room(0) + 2009 witdrawals + 2010 contribution room)? or $10,000? I’m not so sure Futures are an eligible TFSA investment but the sake of discussion, let’s say it is. I’ll also assume that by “invested the total $5K” you mean contributed $5K cash, which then bought the futures. Of course, one can just leave the $100K in TFSA and move it to other investments (ex. more conservative ones). IMO, a withdrawal makes sense in a limited number of situations. The first is if one needs the $100K for something such as say buying a house or paying off a mortgage. The second is if one has other investments that are likely to keep growing and could be transferred to the TFSA “in-kind”. Maybe a $100K of say, Apple stock. Interesting question … most of the articles I’ve read list the requirement to be over 18 and a Canadian resident but don’t really mention your situation. My thinking is that you will start with the TFSA contribution room in the year you became a resident and are over 18 years old. Based on your post, this is 2010, which would means $5K for each year eligible (i.e. 2010, 2011 & 2012). This would make the total $15K. This is similar to a Canadian who turns 18 in 2010 and becomes eligible for a TFSA. I don’t believe you’d be eligible for the 2009 room as you say you weren’t in Canada. So I’m puzzled why CRA would think you’d have $15K TFSA contribution room in 2011 so I’d also suggest calling CRA to get them to explain the 2009 amount. A guess would be maybe you had the paperwork started, which affects the dates somehow? For the over-contribution letters, the posts I’ve seen it can be as long as 16 months *after* the over-contribution that CRA sends an over-contribution letter. With a penalty of 1% per month from the date of the over-contribution – this is expensive in the amount charged and how long it takes to find out that a penalty has been assessed. IMO, it is better to stick to a lower amount that you know is a safe contribution amount, until you’ve confirmed with CRA and other sources the 2009 amount. So I’d stay at or under $15K for now. It will be far easier to add the money later if CRA confirms the $20K versus all the hassle of an over-contribution letter, penalties to pay and actions required. Note that I’m not a TFSA expert so make sure you check with CRA and/or other experts before taking the chance of an over-contribution. @Paul – You have to be a resident to accrue contribution room. There is no way you can contribute for 2009. Call the CRA – don’t listen to your bank for this kind of thing. Planning on receiving a severance package. Is it possible to roll some of the funds into TFSA (s) and avoid the taxes ? @ Joe: Regarding using a TFSA to avoid taxes on a severance package. It depends on what you mean by “avoid the taxes”. A TFSA will avoid *future taxes*, not the current taxes due on the severance package. Once contributed to the TFSA, there will have no future taxes (unless a future gov’t changes the TFSA rules). To reduce the taxes on the severance package, an RRSP contribution (if you the contribution room for it) is one of several options that will reduce the taxes and likely generate a tax refund. 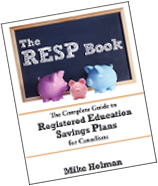 Just be aware that the RRSP money will be taxed in the future when it is withdrawn. Another option is to contribute extra money to your favourite charity or political party, which will also reduce the taxes but have no future taxes. I am wondering what the options are for someone who made a poor investment with a their TFSA…for example, what if I invested 3 years of contributions (15k) into one stock like Sino-Forest that eventually is worth 0$ – do I also lose my contribution room of 5k x 3 years moving forward? Or will I always have a minimum contribution room of 5k per year even if my contributions are sold for less? Where a TFSA contribution of $15K was put into a TFSA, the $15K contribution room has been used and is gone. The investment and it’s performance do not change this. The investment becoming worthless means that there is nothing to withdraw. The impact on contribution room is that if there could be a withdrawal, the withdrawal amount would be re-added to the *following year’s* contribution room. The yearly $5K TFSA contribution room that is granted to those who qualify by being Canadian residents, over 18 years old etc. will still be granted. So going forward, the only option is to contribute the $5K yearly amounts, as it is granted each Jan 1st. But that would have been the case anyway so I suspect what you really want to know is how to make up for the losses. If so, the only option is to use the new contribution room as it is granted and choose better investments that grow. This is why is it a good idea to test the investment strategy in a taxable account instead of a TFSA or RRSP. The taxable account does not have contribution limits and the losses can be written off against other gains. I dropped in $5000.00, would I be able to add more since I never did in 2009, 2010, 2011, which out being taxed? Is my max contribution only $5000.00 for this year or can I make it $20000.00 and then in 2013 only drop in another $5000.00? As per the “Basic TFSA Rule for 2011” section of the article, as long were a Canadian resident and over 18 years old in 2009, in 2012 you would have started with 4 years worth of the $5K TFSA contribution room. This would be 4 x $5K, which totals $20K. The 2012 TFSA $5K contributed reduces the available room to $15K (i.e. $20K – $5K). For the rest of 2012, you can contribute up to $15K. On Jan 1st, 2013 another $5K of room will be added. So if you make no further 2012 TFSA contributions or withdrawals, the available TFSA contribution room be $15K unused + 2012 $0K withdrawals + 2013 $5K, which would total back to $20K available room. It’s similar to balancing your cheque book or bank account. The type of deposit (i.e. automatic or not, cash or cheque) is a privilege of the account and has nothing to do with being a TFSA (or RRSP). The only TFSA questions are as follows. First, after considering what has already been automatically deposited, is there enough TFSA room for the amount that will be deposited on a “one of” basis (ex. the $1K casino winnings)? You state there is room available so all should be well. Secondly, will the deposits scheduled for the future put you over your TFSA contribution room available? If so, you will need to cancel some of the deposits to avoid over-contributing and being subject to penalties. It does not sound like you have more than one TFSA account but just to be complete, bear in mind that the two questions apply to all of your TFSA account(s) (i.e. keep in mind that the TFSA contribution limit is per person). Hi, this year I opened my first TFSA, I am turning 24 this year. I have contributed $6k since i opened it this year. Does that mean i have 14K contribution room left for this year? and then i start at 5k again in 2013? and if i dont contribute the full $20k this year but let say only 10k, can i continue putting it in in 2013 to $15k (10k left from previous years + the 5k for 2012)? @ San: The TFSA contribution room starts in 2009, if you were turned 18 or older and are a Canadian resident for tax purposes for each year. = $20K – $6K = $14K. This assumes no further contributions have been made at the moment and that you were a Canadian tax resident for 2009 through to 2012. Once you have calculated what TFSA contribution room you *have as of today*, treat this like balancing a check book. This way, you’ll always know what amount is currently available to you after each contribution. By keeping up to date, only two adjustments will be needed at the start of each year. The first is the TFSA room granted for that year and the second is any withdrawals made in the previous year. IMO, staying current is the easiest method but whatever calculations mean that you accurately know how much TFSA contribution you have have and that takes care of all the factors (i.e. contributions made, new granted contribution room each year and withdrawal being re-added the following year) will work. I misread your comment as being that for 2012 $6K has been put in and another $10K will be put in so that the total TFSA contributions would be $16K, which was what my Jan 1st, 2013 calculation uses. Then too – I also assumed that the 2013 amount would be indexed to $5,500. If there is no indexing for 2013 (i.e. $5K is granted) and the total 2012 TFSA contributions is $10K – then 2013 would start with $15K, though it would the 2013 $5K granted as the 2012 contribution room is included in the “$10K from previous years”. If nothing else – I’m hoping it is clear that once the current amount is known, it is a lot easier keep a running balance. Hi, the guidelines for the investments a person can make within a TFSA are very vague. If I want to invest in an internet business, am I able to do so with money in my TFSA? And is so, how do I go about doing that? @ Gwen: The article above lists most of them but there is also mention that *certain shares* of small business corporations are also okay (see page 8 of this link, http://www.cra-arc.gc.ca/E/pub/tg/rc4466/rc4466-12e.pdf). If the internet business sells public shares on an exchange, then open a TFSA with a brokerage that allows buying/selling on the exchange. Then contribute cash to the TFSA to then buy the shares. If the internet business is private, then it *may* be possible. I suspect it would be best to work through a tax expert. RRSPs have restrictions on holding private company shares and TFSAs have even more restrictions as per this link, http://www.bdo.ca/library/publications/tax/documents/answering-your-tfsa-questions.pdf. Then too, even if it is an allowed investment – can you also find an financial institution that is offering this service at a reasonable price? Personally – unless you are sure this internet business will be extremely profitable, I’d avoid it in a TFSA (or RRSP). If the investment becomes a loss, it (and the TFSA contribution room) is gone! The same loss in a taxable account will at least be available to reduce other capital gains taxes. IMO, such an investment would need to have a great potential payoff before it would be worth the additional work plus risks compared to other investments.